The upcoming entry-level adventure tourer from BMW, the G 310 GS, was spotted at one of BMW Motorrad’s dealership in Chennai recently. In international markets, the adventure tourer is available in three colours – Racing Red, Cosmic Black and Pearl White Metallic. The one spotted in Chennai sports Pearl White Metallic shade. BMW G 310 GS will be launched alongside the G 310 R on July 18. BMW Motorrad has already commenced bookings for both motorcycles. The G 310 GS will compete against other adventure tourers such as the Royal Enfield Himalayan (Rs 1.68 lakh) and the Kawasaki Versys-X 300 (Rs 4.69 lakh, both prices, ex-showroom Delhi). Expect the German motorcycle co-developed with TVS to cost around Rs 3.5 lakh ex-showroom. Powering the adventure tourer is a 313cc, single-cylinder, DOHC, liquid-cooled engine which produces 34PS at 9500rpm and 28Nm at 7500rpm. The powerplant works in tandem with a 6-speed transmission, which helps the motorcycle reach a claimed top speed of 143kmph. Up front, the G 310 GS features 41mm inverted forks with 180mm of travel. At the rear, you’ll find a monoshock with the same amount of travel as the front. The 300mm front and the 240mm rear disc brakes feature dual-channel switchable ABS as standard. 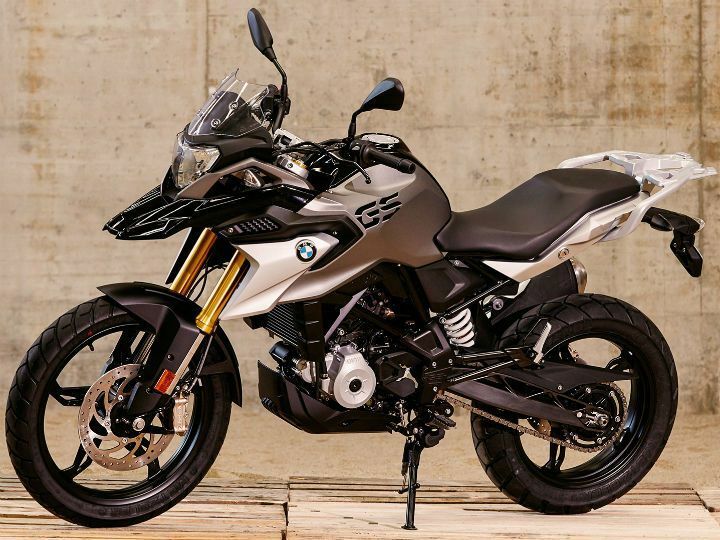 BMW has chosen to equip the G 310 GS with alloy wheels shod with Metzeler Tourance tyres dual-purpose tyres for optimum performance both on and off the road. However, we believe a set of spoke wheels could’ve enhanced the motorcycle’s off-road capabilities.